So things have been quiet over here on the blog, not because I haven’t been thinking and writing about support for doctoral research, but because I’ve been working on a new and glorious book with Inger Mewburn (Dr Thesis Whisperer herself) and Shaun Lehmann. 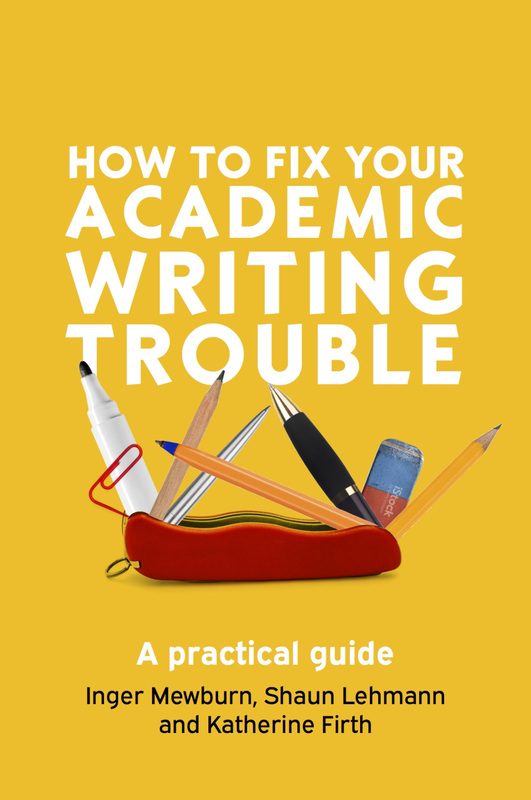 If you’d like to know more about the book before it’s published, you can sign up for our writing trouble mailing list. We got the book into the publisher, on deadline and our editor said it was the ‘most beautifully presented manuscript’ she’d ever seen. In two weeks it was into production and we are now just awaiting copy edits! What’s wrong with the ‘pub test’? I’ve also written lots and lots of draft blog posts, but not taken the time to make them publishable. (It usually takes me more time to get the post into a decent format, edited and polished up, than to write the first draft.) I’m going to get them into production soon and start publishing them! Definitely going to read previous posts of yours and subscribing now! Great to hear Avital! Welcome! Lot’s of people find blogging helps them write, so I’m delighted to hear it’s working for you!